*STOP PRESS* Personality Matters!® is on its way. Email us for more details. Riding for competition or for pleasure can be the most exhilarating feeling in the world. When things go well, all is right with the world. But, when things go wrong it can be extremely frustrating, leading us to doubt ability and knocking our confidence - fear or anxiety get the better of us, making us tense. We end up trying too hard and mentally beating ourselves up. If you're a nervous rider, it can be so frustrating when your nerves get the better of you. 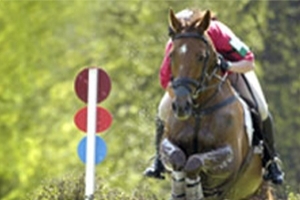 We know we want to go to the next level - whether it be dressage, x-country, show jumping, polo, endurance, driving or simply hacking - yet our 'mental blocks' stop us moving forward. Negative experiences, like a fall or a refusal, can create 'limiting beliefs' about ourselves. Our brains constantly look out for similar situations in order to avoid them, protecting us from harm. It creates negative emotions and generates certain [unhelpful] behaviours, like automatic responses, in an attempt to stop us riding, and so avoiding danger. At IRS we help clear away those limiting beliefs, negative emotions and unhelpful behaviours using proven techniques including: NLP (Neuro Linguistic Programming), Coaching, Hypnotherapy, Psychotherapy and Time Line Therapy. Once your emotional baggage is gone, you free yourself from old patterns of behaviour, allowing you to do the things you've held yourself back from. Absolutely! 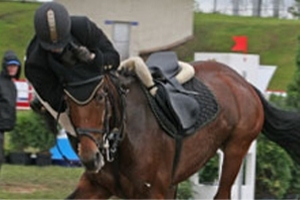 Vicky Smith heads up a very experienced team at IRS and was herself a nervous rider for over 20 years, eventually confining herself to the indoor school as she was too nervous to hack out, or compete. She was able to completely overcome her fears after using these techniques. She freed herself and her very bored horse, Ted, from the indoor school and now gallops along beaches, canters across open fields, competes at Medium level dressage and fulfilled her lifelong dream of jumping a x-country course. She has successfully been working with nervous riders for over 8 years, helping them to surpass their own dreams. As seen in British Dressage and Your Horse magazines! Take a look at some of our clients and how they have benefitted from our 1-2-1 service and workshops. These case studies are amazing examples of the changes that you can make to your riding.